Avoid using cardboard boxes for basement storage. Cardboard is a very porous material that is primarily composed of cellulose. Cardboard is also absorptive and tends to attract moisture. Both of these properties, make cardboard an ideal medium for mold growth. The majority of basement walls and floors are built with poured concrete. Concrete has a remarkable ability to draw moisture through it. This property is called capillary action. Concrete can drawn water up vertically through it to a theoretical height of 6 miles counteracting the force of gravity. Basements often have elevated humidity because is effectively pulling in moisture from the earth. Many homeowners will set cardboard boxes right on the floor or up against the walls. This does not allow moisture coming from the floor and walls to evaporate. Cardboard boxes will tend to trap moisture and become an ideal location for mold growth. Instead of cardboard boxes, consider an alternative material that is not cellulose based to store your belongings in. It is also helpful to not store boxes directly on the ground or up against the wall. Inspect and clean your evaporator coil and drain pan. Heating Ventilation and Cooling (HVAC) equipment should be inspected and maintained routinely. A neglected system can lead to poor indoor air quality. 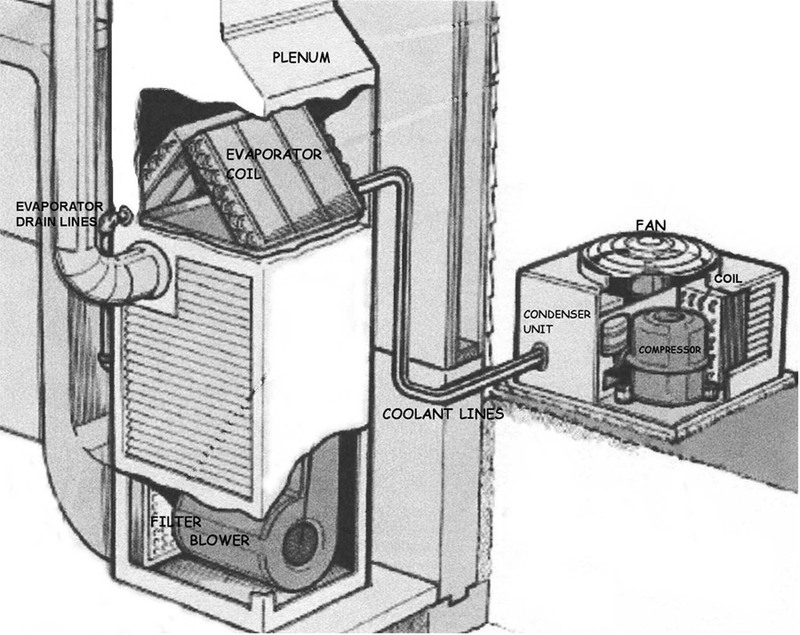 The evaporator coil is a major component of a forced-air HVAC system. It is typically located right above the furnace. The evaporator coil works in conjunction with the condensing unit to extract heat from the air and cool it. When your system is running to heat or cool the house, air flows through the evaporator coil and to the rooms in your house. Since the air you breathe is constantly being cycled through the evaporator coil, it is essential that it is clean and working properly. Condensate naturally forms on the evaporator coil when air passes through it. 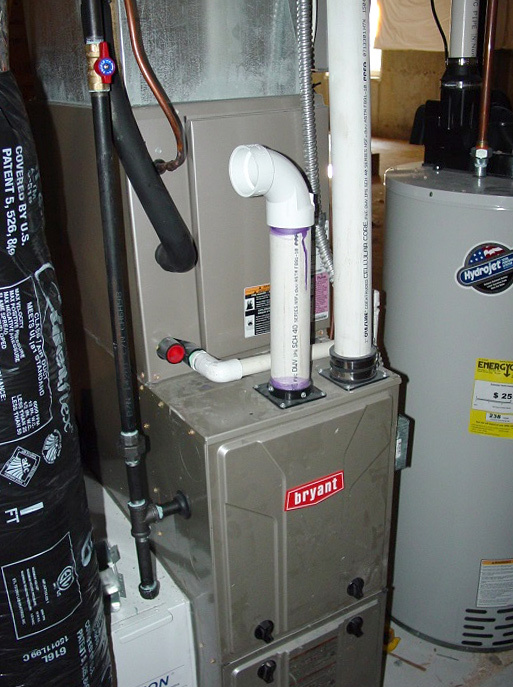 The condensate drips into the drain pan and drains out of the HVAC system. The drain is usually routed via flex tubing or PVC pipe to a condensate pump or floor drain. The evaporator coil and drain pan collect dust and are continuously getting wet which make them great locations for mold and bacteria to grow. The evaporator coil or drain pan can become microbially contaminated. Mold spores and bacteria can be spread through the house. Make sure to inspect these areas routinely. Drain pans can become clogged or disconnected, leaking into the furnace and onto the floor. If this happens rust and corrosion can occur in the furnace leading to other problems. The evaporator coil and drain pan should be cleaned using a non-toxic disinfectant to prevent microbial growth. All drain pipes, tubes, and condensate pumps connected to the evaporator coil should also be thoroughly cleaned as well. Research by the California Air Resources Board, the U.S. EPA, and others has shown that indoor air is typically two to fifty times more polluted than outdoor air. Significant exposure to pollutants such as radon, smoke, and VOCs including formaldehyde occurs almost entirely indoors. The International Agency for Research on Cancer and the World Health Organization have concluded that 80% of all cancers are attributed to environmental, rather than genetic factors. Environmental factors include exposure to carcinogenic chemicals, many of which are found in common household products that typically used and stored at home. Houses are becoming increasingly energy efficient by being wrapped tightly with air barriers and insulation. These energy efficient homes require less energy to heat and cool, but may not be the best recipe for your health. These buildings are designed to not let air escape. If there is no strategic fresh air ventilation planned into the building design, then air becomes stale and can become saturated with chemical compounds off-gassing from stored items or building materials. Another negative drawback of a home being wrapped too tightly without proper ventilation is that carbon dioxide levels will rise from occupants living in the home. Carbon dioxide levels are commonly found to be twice as high as the outdoor air. Elevated carbon dioxide levels can lead to fatigue, headaches, lightheadedness, and shortness of breath. It is always best to deal with a problem at the source, such as removing toxic products or installing strategic air ventilation like an energy recovery ventilator. 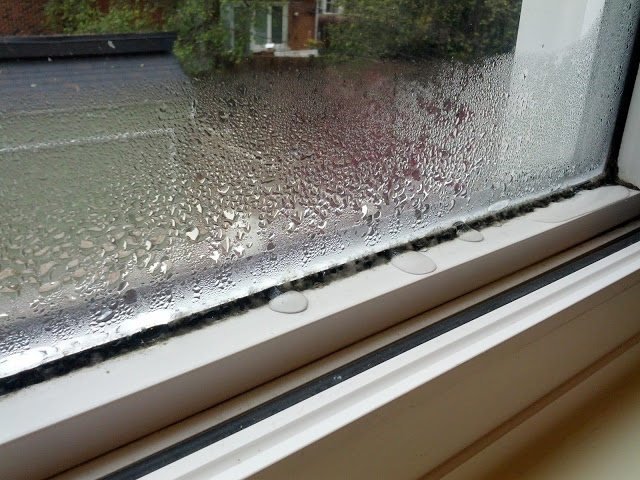 However, a very simple fix to poor indoor air quality is to open windows routinely. Even opening them once or twice a day for five minutes can help to dramatically improve indoor air quality, including increased oxygen and lower levels of pollutants. Keep trees on your property. Think twice about removing trees on your property. When trees are between your house and a source of EMF radiation they will help to reduce it. In particular, trees can reduce all types of wireless RF (radio-frequency) radiation. Trees can also help to block the electric fields originating from overhead powerlines. There are many variables that will influence how well the radiation is reduced like size of the tree, position, and density. Ensure your furnace is properly vented. High-efficency furnace design. Air from outside pulled into combustion chamber and exhausted back outside. 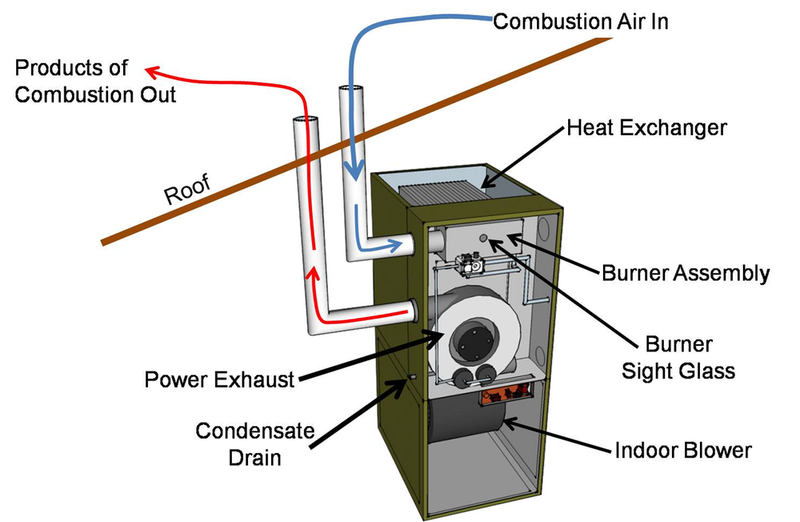 The majority of modern-day furnaces and condensing boilers are designed to use outdoor air in the combustion process. This is a crucial step to get right in the installation process, yet some HVAC contractors repeatedly install these units incorrectly. Some inspectors also routinely overlook these incorrect installations. High-efficiency furnaces have two venting ports: an intake and an exhaust. The intake port, also referred to as the fresh-air intake, should be connected via piping to the outside. The exhaust port should also be piped to the outside via a separate pipe. This allows outdoor air to be pulled through the intake pipe, into the combustion chamber, and vented back out of the house via the exhaust pipe. Intake pipe shown is not connected to outside. In this installation it is pulling in indoor air instead of outdoor air. PVC pipe should have been run to outside the house. Sometimes no PVC at all is connected to the intake port. The mistake commonly made is that the intake port is not piped to the outside of the building. When this is done, indoor air is pulled into the combustion chamber and the house is put under negative pressure. This creates a pressure imbalance since the furnace exhaust fan is taking conditioned indoor air and shooting it right out of your house. This causes make-up air to be sucked from places you don’t want it to be, such as wall cavities, sump basins, unconditioned attics and crawlspaces. This can lead to a multitude of indoor air quality problems. Dust particulate can be pulled into the living spaces including things like mold spores and fiberglass. Decomposition gasses can be pulled from drains and sump basins. Radon can also increase when this mistake is made. Not only does this mistake decrease the healthfulness of your home, it decreases the efficiency of your furnace. Examine your high-efficiency furnace or boiler to ensure it has intake and exhaust pipes properly vented to the outside. Intake and exhaust vents terminated on side of house. Dust is quite common in most environments. Many people might consider dust a nuisance and wonder why their house is so dusty. Dust gets stirred up from just walking across the room, sitting down on a chair, or ruffling the covers in bed. Once the dust is suspended in the air, it can enter the body through inhalation. Not only can dust cause allergic reactions, but can also contribute to advanced health conditions. Dust can be composed of almost anything and everything. Some examples include skin cells, dust mite excrement, fabric fibers, fireplace soot, mold spores, and accumulated chemicals like pesticides or flame retardants. Dust can also be a source of mold growth. Mold just needs cellulose and moisture to thrive. Dust can be perfect host for mold to grow on. Use a HEPA air purifier. Choose solid-surface flooring. Carpets and rugs tend to retain more dust and release fibers. Wipe dust from surfaces with a damp cloth or an electrostatic cleaning cloth. Take fabric furnishing like drapes and couch cushions outside and bat them periodically to release dust. The majority of standard power cords are energized to 120 volts. This voltage potential emanates an electric field that induces voltage on the body. This is referred to as "body voltage." Body voltage can be lessened by keeping power cords further from the body. Many people work at a desk with a jumbled collection of power cords and power strips at their feet. It's also very common to keep multiple things plugged in around your bed or sofa. Moving these cords as far from your body as possible will lower your body voltage. Try to aim for at least four feet or more of separation. Low power devices typically have a small block at the end or in the middle of the power cord. This block is the transformer that supplies DC power to the device. Many of these transformers emanate a magnetic field that will drop off with distance. Keeping these transforming power supplies away from the body will also lower your magnetic field exposure. Houses with older wiring tend to have elevated EMF. Knob-and-tube wiring was a early method of electrical wiring that was common to North America from the 1880s to the 1930s. 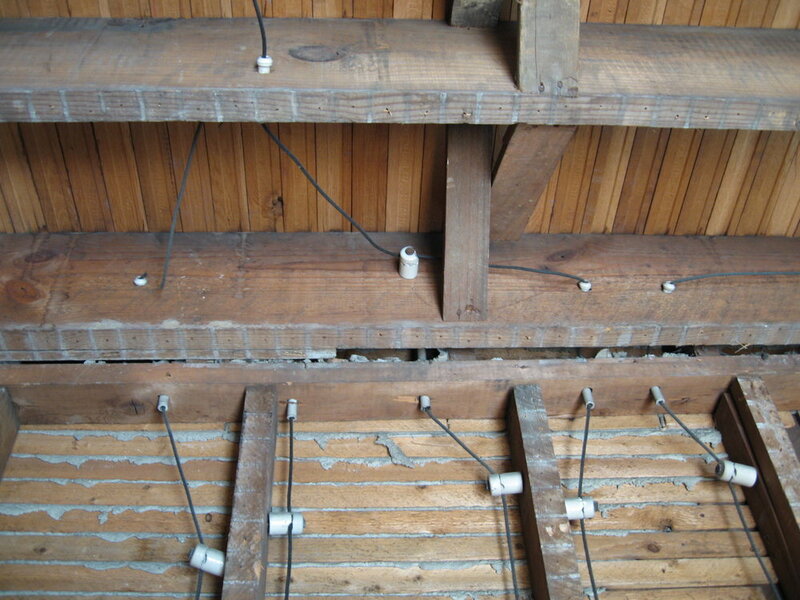 Many older houses are still using this type of wiring today. Houses with this type of wiring usually have higher EMF as compared to houses wired according to current electrical standards. Knob-and-tube wiring does not inherently contain a grounding wire, which means that you cannot use three prong appliances with this type of wiring. Many older homes with knob-and-tube have been improperly upgraded to support a grounded receptacle. In many of these instances, the grounding conductor is energized with voltage. This voltage on the grounding conductor creates an increased electric field radiating from the device plugged into the improperly grounded receptacle. Knob-and-tube wiring is designed to contain significant separation of the hot and neutral conductors for heat dissipation. This separation causes elevated magnetic fields in the house. Even in newer houses, the electrical system can develop problems as the system ages. Circuit breakers and GFCI receptacles can fail with age. Circuit breakers should be inspected periodically to ensure that there are no signs of corrosion or debris buildup. At any sign of corrosion, the circuit breaker should be replaced. When a circuit breaker or GFCI protection device fails, the switching contacts can remain closed and the device continues to provide power—providing no safety protection, which can result in serious injury or even death. When replacing electrical wiring, consider using a metalized conduit. When instrumented correctly, metalized conduit will block the electric field coming from the hot conductor that is energized. Elimination of the electric field will result in a lower body voltage as compared to alternative wiring containing a non-metalized plastic or vinyl jacket. Avoid using a wireless thermostat. Most newer thermostats have wireless Wi-Fi capabilities. To reduce exposure to additional radio-frequency radiation, it is best to stick with a traditional thermostat that does not have Wi-Fi or Bluetooth capabilities. Stop sewer gases from entering the building. Sewer gases originate from decomposing mater in the public or private sewer, drainage or septic systems. Sewer gases can include methane, hydrogen sulfide, ammonia, carbon dioxide, nitrogen oxides, and sulfur dioxide. Many of these gases have toxic effects on occupants of a building. Sewer gases gradually displace oxygen, cause odors, or could lead to fire or explosion. In many cases, intruding sewer gases are caused by evaporation of the water barrier in drain traps. They can also originate from drain tile systems. Buildings should be tested for sewer gases and any intrusion problems should be analyzed and fixed. Radon gas is a colorless, odorless, tasteless, invisible gas that results from the natural breakdown (radioactive decay) of uranium that is naturally found in the earth. Radon gas concentration levels will vary depending on your location and soil/bedrock makeup. Some geographic areas have lower levels on-average and some are considered to have elevated levels. But even within any given geographic region, radon levels can vary dramatically. In the United States, Radon is typically measured in picocuries per litre (pCi/L) and in Canada it is measured in becquerels per cubic meter (Bq/m3). The EPAs take action limit is 4 pCi/L. The Institute for Building Biology and Ecology recommends taking action at 2 pCi/L. Ideally you want your levels to be as close to zero as possible. For nonsmokers, radon exposure is the leading cause of lung cancer death. A radon level of 4.0 pCi/L is equal to 200 chest x-rays per year or 8 cigarettes per day. Radon concentrations are typically the highest in the parts of the home that are closest to the points of infiltration like the lower levels, but that is not always the case. Radon can easily enter the living space through cracks, floor drains, and sump pump basins. Radon is commonly mitigated by installing a sub-slab soil suction system. This system is basically a fan that vents to the outdoor air. It pulls air from below the slab or basement floor and is configured to pull from the cavity of dirt beneath the slab. You can also attach this type of radon mitigation system to a sump pump basin or drainage tile system. For maximum effectiveness, it is important to ensure the air is being pulled from the earth below the slab and not being pulled from in the house. Sealing any cracks in the basement and sealing sump pump basins will also help lower radon levels. Additional mitigation steps need to be taken for homes with crawl spaces. Buildings with crawl spaces need extra consideration including whether it is a temperature conditioned space as well as consideration to the types of construction materials including the walls and floor of the crawl space. Radon levels in homes can vary significantly over time. It is not uncommon to see radon levels change by a factor of 2 to 3 over even a day period, and variations occurring from season to season can be even larger. Healthy House can guide you through radon measurement and mitigation whether you are nearby or afar by providing testing equipment and consultation services. Avoid using conventional dryer sheets and fabric softeners. Traditional dryer sheets and fabric softeners contain many toxic compounds. These products are designed to impart chemicals onto clothing and formulated to to bond to fabric to make it softer and anti-static. In 1991, the U.S. Environmental Protection Agency released a document revealing that significant carcinogens are present in fabric softeners and dryer sheets. Inside these concoctions are dangerous chemicals such as Benzyl Acetate which has been linked to pancreatic carcinogenesis. Limonene, a known lung irritant, is commonly prominent. Many other toxic compounds are contained in these products like Chloroform, Dichlorobenzene, Benyl Alcohol, Camphor, Ethanol, Ethyl Acetate, Alpha Terpineol, Pentane, Linalool, Y-Methyl Ionone, A-Terpineol, Methylene Chloride. The fragrance in these products are also toxic and may contain hundreds of chemicals. The volatile organic compounds (VOCs) emitted by fragrances are big offenders of polluted air. When using these products the chemicals off-gas into the air and enter your body via inhalation when breathing and absorption through your skin. There are alternatives to dryer sheets and fabric softeners. Natural dryer balls or reusable cloth dryer sheets are a healthier alternative. Avoid the use of smart watches and activity trackers. Smart watches and activity trackers are equipped with WiFi and Bluetooth connectivity features. There are a multitude of activity trackers on the market including those geared towards sleep tracking or fitness tracking. Most of these units use Bluetooth to connect to your smart phone and use WiFi to connect to the Internet. The majority of these devices produce radiation levels that are an extreme level of concern according to Building Biology standards. Some of these devices allow you to disable the WiFi and Bluetooth. If you have one of these devices, you're best to keep these protocols disabled to minimize your EMF exposure. Flame retardant chemicals are used in commercial and consumer products like furniture, electronics, and building materials in order to meet flammability standards. The major uses of flame retardant chemicals by volume in the U.S. are electronics, building insulation, polyurethane foam, wire and cable. Flame retardant chemicals can negatively impact indoor air quality and your health. 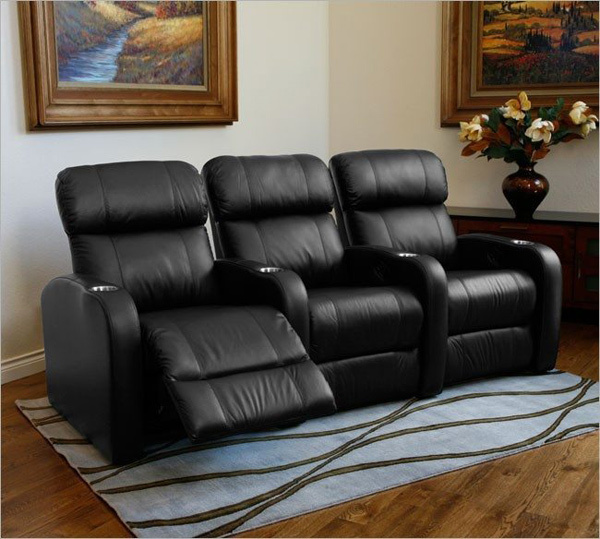 Choose flame retardant free mattresses, sofas, chairs, etc. to reduce your exposure. Take action upon finding a water leak. One of the most important things you can do if you discover a water leak or water intrusion in your home is to promptly call a water restoration company to begin drying out the space. It doesn't matter the cause - roof leak, grading issue, plumbing leak, overflowing sink, etc. You can save yourself a large future headache by getting your space dried out as quickly as possible. As long as you stop the leak and start the drying process within about 24 hours, the likelihood of mold growth is greatly reduced. It is much less costly to have a crew professionally dry the space versus have mold safely remediated. Don’t use an electric adjustable bed. Charging ports on the side of an electric adjustable bed. Adjustable beds with an electric motor typically create elevated magnetic and electric fields. When plugged into the wall, many electric adjustable beds are in the extreme level of concern range according to Building Biology safety standards. As electric field strength increases, so does your body voltage. It is best to avoid purchasing any bed or bedframe that plugs into the wall including those with features such as massage, warming, and USB charging. If you already own one of these types of electrical-powered beds, it is best to unplug it before falling asleep. Avoid putting toxins on your yard. Your lawn, landscaping, and gardens should be safe and healthy sanctuaries for your enjoyment. These outdoor living spaces should not be posionous. Many readily available products are full of toxins that can affect the health of you, your family, and pets. These chemicals also cause harm to the earth, our food stream, and wildlife. Don’t use lawn fertilizers that are advertised to kill insects or weeds. These fertilizers are full of synthetic chemicals that are designed to KILL. That is what they do — they kill the weeds and insects. These posions could also kill you and that is why these products all have warning labels. But exposure in non-lethal doses, still has health consequences. They are also bad for the environment. What does a healthy lawn look like to you? Many people think that a healthy lawn is one that has a single species of grass with no weeds and nicely edged sidewalks. Challenge your preconceived notions because most of these lawns are actually sick. They require being on life support and the continual dumping of nitrogen, pesticides, and herbicides just to keep them green and lush. But it's been 5 days and it's rained. Isn't it okay to walk on it now? Waiting until it rains or running the sprinklers after using conventional fertilizers, may help diffuse toxins slightly, but those toxins just don’t disappear. Most of the chemicals stay on the lawn and enter the soil. The remainder gets washed into street drains. Most of these drains empty into the watersheds that connect to rivers and lakes. This leads to polluted water ways and toxins entering into our food stream. The excess nitrogen dumped into the waterways lead to algae blooms and microbiological dysbiosis. The chemicals also cause mutated species. A healthy lawn is actually one that is biodiverse, including multiple species of grass and plant life. Clover and dandelions can be quite beautiful. It is quite ironic that such nutrient dense and healthy foods like dandelions are considered "weeds". Having insects in your lawn is actually beneficial. They will help transport nutrients and aerate your root structure. Insects and diverse plant species will bring birds and rabbits to help fertilize your lawn. Birds will help keep insect populations in check. A non-toxic yard will help bee and butterfly populations which are on the decline. Flowering plants in your landscape will support diverse wildlife. If you endeavor to grow just grass and not "weeds", you can do that naturally too. Your best strategy is to crowd out the weeds. Over seed your lawn with grass seed a few times a season. Raise up your mower height to let the grass glow longer and taller than the other things growing in your lawn. Use non-toxic nutrients as a fertilizer. To shift to a natural lawn, you need to give it life again. Apply compost tea to help fertilize the lawn naturally. This will deliver nutrients and return microbes to the lawn. The microbes will help break down the synthetic chemicals in the soil. Apply rock dust and ocean nutrient solution to help mineralize the soil. Create a natural spot-use weed killer solution by combining high strength vinegar, orange oil, soap, and salt. Consider making your own soil from kitchen scraps and yard clippings. Create a compost heap or buy a compost tumbler. It is much better to recycle these nutrients than have them dumped into a landfill. Much of the bagged soil that is sold in stores is not even top soil. Many of these are made from biosolids. Biosolids are sewer sludge. The "biosolids" name was created to make sewer sludge marketable. Sewer sludge as you would guess, is also full of toxins - chemicals, pharmaceuticals, you name it. Biosolids will not only bring toxins to your lawn but harmful bacteria and fungus. In addition to biosolids, many of these soils are also mixed with commercially created compost from food or yard waste. It is common to find chunks of plastic and trash debris in the bagged soil you buy in the store. There are no quality standards in place for soil. The industry can pretty much bag up almost anything and sell it to you. Also, consider the natural and organic fertilizers on the market, many of them, like Milorganite, are marketed as organic, but are made from biosolids. There are no organic standards for fertilizers. It is fully legal to market sewage sludge as organic. If you need to purchase soil or fertilizer, ensure that it is not made from biosolids. OMRI stands for Organic Materials Review Institute. Look for an OMRI label on products you buy. The OMRI approval standard does not allow for biosolids. With food, look to buy certified organic. Certified organic is not supposed to be grown in biosolids. Lawns are very resource intensive. Lawns need to be watered and need to be mowed. They require a considerable amount of time if you are trying to keep up with the Joneses. If your feeling really ambitious, consider replacing your lawn with a permaculture landscape. Permaculture landscapes are natural food gardens that are abundant and low-resource systems. An edible garden is the ultimate way to create a healthy yard. Many organic hand sanitizers, deodorants, and other personal care products contain ethyl alcohol or isopropyl alcohol. The purpose of including these compounds are that they are disinfectants. Both solutions emit VOCs and can cause respiratory irritation and have been linked to increasing risk of asthma. Choosing products that are alcohol free can lower your risks and improve indoor air quality. It is also not good to absorpb either of these by applying them to your skin.